19 Apr, 2017 by	Margaret M.
Today, President Trump welcomed the New England Patriots to the White House for a press conference and to congratulate the team on their Super Bowl win, tying the game and beating the Atlanta Falcons 34 to 28. ‘With their backs against the wall and the pundits, good ol’ pundits, God they’re wrong a lot, huh?’ Trump said and paused. ‘Saying you couldn’t do it, the game was over. You pulled off the greatest Super Bowl comeback of all time,’ he told the team, gathered behind him on the South Lawn. Trump applauded the Super Bowl champions for their ‘dedicated culture to winning,’ while telling the players a special story about their coach and a letter he wrote candidate Trump during the election cycle. Why isn’t Trump praising Tom Brady? Well, turns out he didn’t show up. No Tom Brady? At a White House event congratulating the Pats for taking the Falcons at the Super Bowl? And nobody is saying anything about it?! 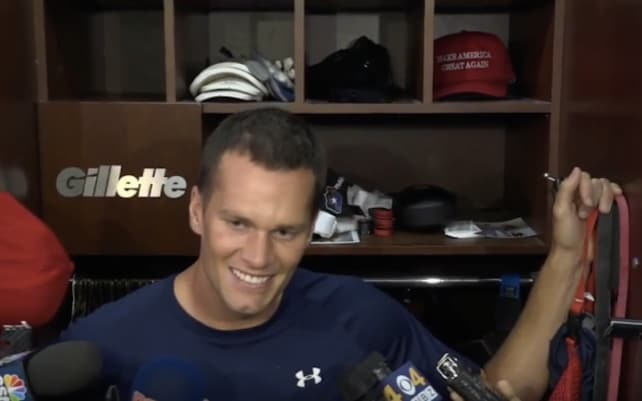 The Virginia-Pilot points out that several players would not be attending, with some suggesting that it was for “political reasons,” but Brady and Trump have been friends since 2002 and in post-Super Bowl interviews, he even had a MAGA hat visible in his locker. It’s not as if Trump was ignoring the players, or even Coach Belichick. ‘It was the first overtime game in Super Bowl history and it ended with a legendary victory for this proud franchise and for these absolutely terrific players and coaches,’ Trump said. ‘You had the best record in football with 14 wins and only two losses and that doesn’t happen by accident, it takes hard work, dedication and a commitment by every member of the team to work together in pursuit of the ultimate goal, a goal that very few people achieve and you have achieved it five times,’ the president continued. Trump mentioned the names of Julian Edelman, Danny Amendola and Trey Flowers, but not Tom Brady. This couldn’t have been a small decision and we’re all waiting to hear what went wrong. I should add that he did not mention Aaron Hernandez, former Pats tight end who committed suicide in his prison cell after being convicted of first-degree murder early this morning. 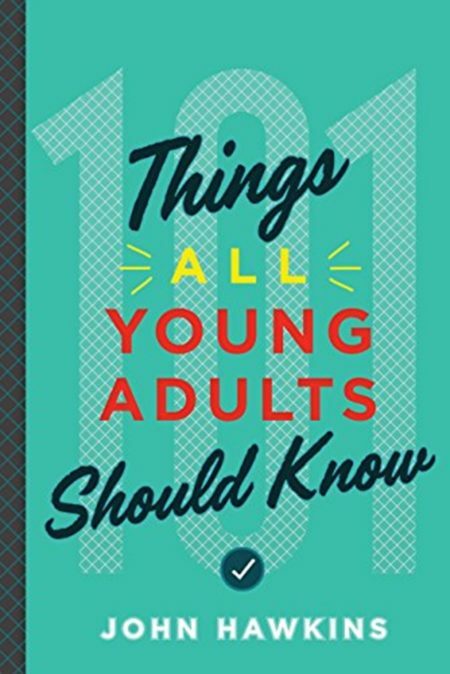 Our very own John Hawkins’ has some advice for avoiding jail and hiding bodies in Chapter 3 of his new book, 101 Things All Young Adults Should Know. Get your first edition or quick fix Kindle download right now from Amazon!